I have to admit….. I have been really lucky to have travelled often throughout my life, and now, living abroad in the UK, I have been able to explore and experience so many new places, however I always find myself drawn back to the Garden Route. Having grown up along the Southern coast of South Africa, it does stay very close to my heart and for anyone wishing to visit South Africa, this beautiful part of paradise is certainly worth a visit. There are two routes that both offer their own appeal leading out of Cape Town, which would ultimately merge in the town of Wilderness, and with the total distance from Cape Town to Port Elizabeth of over 750 km (466 miles), you should plan to take your time and stop at at least 3 or three places along the way. Departing from Cape Town, you could either travel along the N2 motorway and venture over Clarens Drive, a spectacular pass with incredible coastal scenery, as it winds its way along the cliff with the sea breaking underneath you. Pass the little villages of Bettys Bay and Pringle Bay, popular coastal holiday towns for the locals who wish to escape the city. If you are driving this route, you will want to base yourself in or near Hermanus for a couple of nights. This is particularly popular in whale watching season between July and November, and in addition to boat-based whale watching tours, Hermanus offers the best land-based whale watching in the country. Continue from Hermanus to Cape Agulhas, the Southern tip of Africa and where the Indian Ocean and Atlantic Ocean meet. Perfect for a lunch stop as there are not too many accommodation options in this pretty coastal town, with only a few owner run Guest houses that offer warm, friendly service. 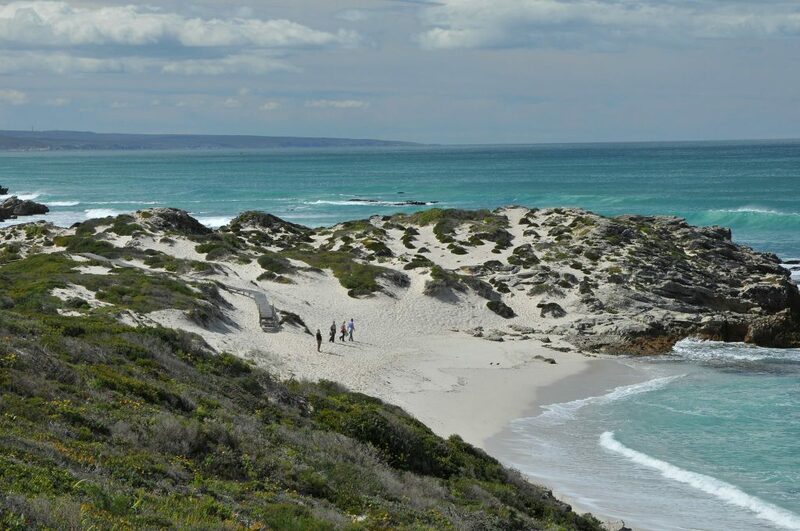 Beginning your journey east, you’ll find De Hoop Nature Reserve on the coast. Offering wonderful birdlife, an abundance of fynbos and even several species of antelope. The reserve is a World Heritage Site and neighbours one of the largest marine reserves in Africa, offering an unspoilt, secluded coastline, where you could possibly find you are the only one on that stretch of beach watching a whale immersed in play not far from the shore. Once you have departed De Hoop you can connect back onto the N2 motorway (for the adventurous take the chain ferry to cross the Malgas River) and continue along the coast towards Wilderness. The second option when departing Cape Town, for those who would prefer to see more of the Winelands and the Klein Karoo semi-desert, incorporating two ‘Capital towns‘, would be to take the the N1 motorway, stopping in Franschhoek for a couple of nights. Known as the Food and Wine Capital of the Country, here you can enjoy wines from some of world’s best wine estates in one of the prettiest towns in South Africa. Continue your journey from the Winelands along the R62 as it meanders through the Du Toit’s pass, Robertson, Montagu and on to Oudtshoorn, the heart of the Klein Karoo and the Ostrich Capital of the world. 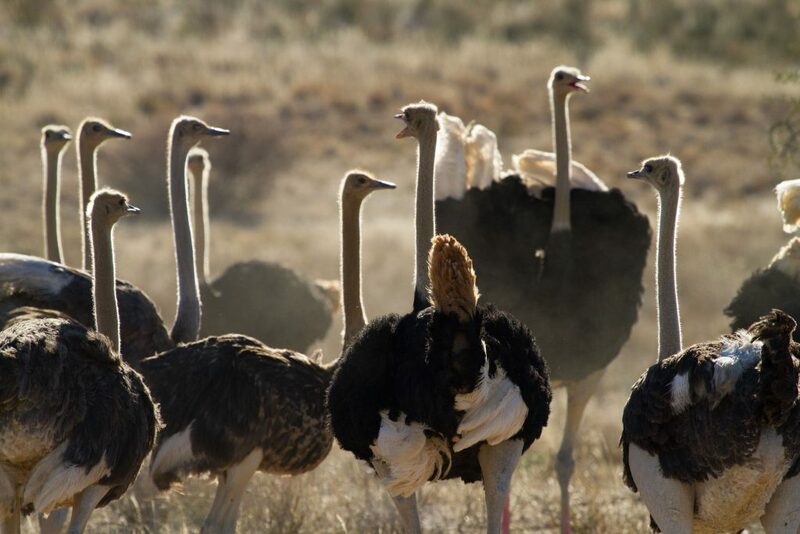 The town, located in a dramatic setting of Karoo mountains and rugged scenery, offers a selection of ostrich show farms, the well known cango caves, animal wildlife ranches and our personal favourite – meerkat tours. The meerkat tours do require an early morning start, however this is well worth it as you have the opportunity to view these shy and delightfully cute creatures in their natural habitat, as they wake up to the day and venture into the sunlight. Oudtshoorn is a great overnight stop, allowing you the afternoon and the following morning to enjoy some of these activities on offer. As you depart Oudtshoorn, head over the Outeniqua Pass and enjoy uninterrupted views of the Karoo as you climb. Descending towards George, you will have the coast in sight as you travel towards Wilderness, the gem of the Garden Route. However you decide to start your self-drive adventure, the trip along the Garden Route proper will start when you arrive in the picturesque village of Wilderness. This lovely little village is surrounded by quiet beaches that continue for miles and paralleled by forests and rivers that create a haven of wild beauty. There are a number of outdoor activities to make the most of this beautiful setting: canoe up the Touws River and enjoy a picnic at a waterfall, visit the Map of Africa viewpoint and Dolphins Point overlooking the famous Kaaimans Train Bridge, indulge in a meal at one of the many locally owned restaurants in the village or just enjoy the magnificent beaches – this is a great stop for a couple of nights if you are looking to relax and just breathe in nature and fresh air. When you leave Wilderness and start heading towards Knysna, you may want to take a detour to the magnificent beaches at Sedgefield. Myoli Beach boasts miles of soft sands and clear waters with plenty of water sports on offer, whilst the quieter Gerickes Point is an unspoiled paradise backed by dramatic mountains and with countless rock pools. Sedgefield is close enough to Wilderness and Knysna and choosing to stay in either will allow you the opportunity to explore the area should you wish. Knysna is the heart of the Garden Route, and the hustle and bustle of this charming waterfront town may steal your heart. Allow yourself 2 to 3 nights here if you have the time as there is so much to explore and do, our favourite would be sitting along the lagoon’s edge enjoying locally harvested oysters and a glass of bubbly! 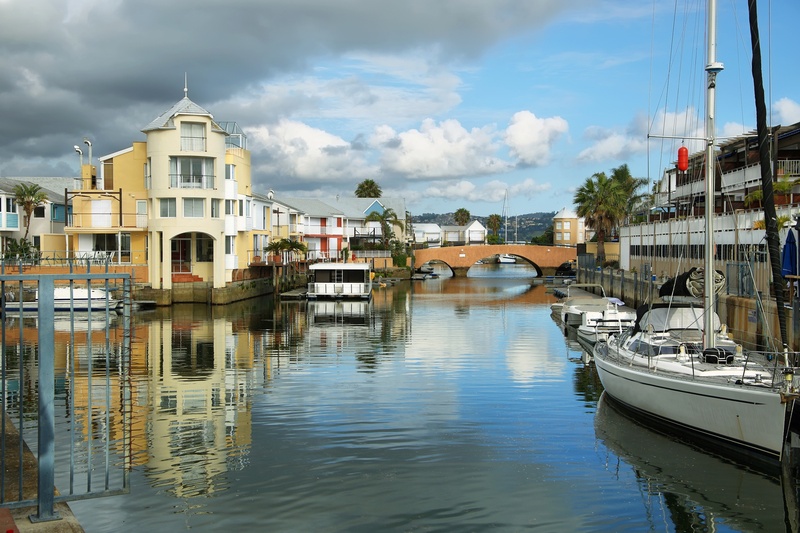 Knysna has a wonderful atmosphere, offers some lovely shopping, amazing views of the Knysna heads and boat activities along the lagoon with the option to explore the Featherbed Nature Reserve. From Knysna you can explore the Plettenberg Bay area that once again offers a haven of unspoilt beaches, forests and rivers. Family attractions and activities are in abundance here with horse riding, river and ocean boat cruises and several sanctuaries where you can interact with elephants, birds, primates and even big cats. Continuing further along the coast, you will find Tsitsikamma – we suggest a night or two here to break the journey if you are heading to a safari lodge. Tsitsikamma – fitting with its Garden Route counter parts – is rich in adventure sports, forests and rivers. 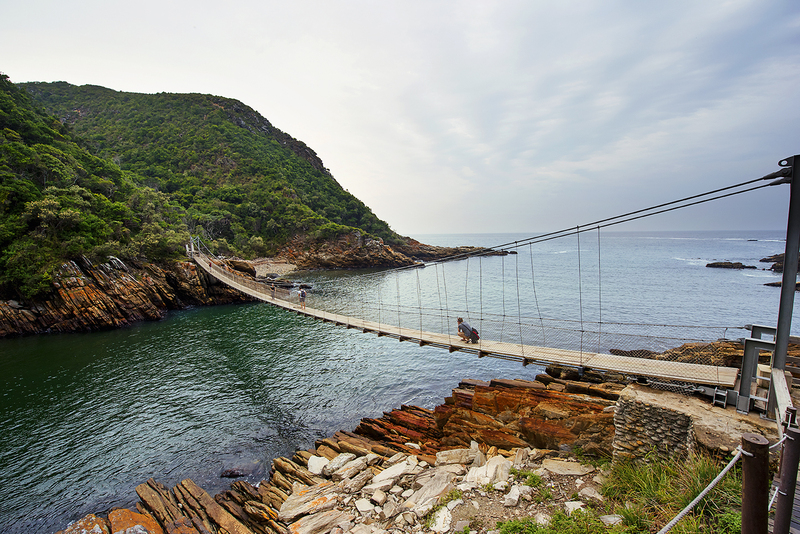 The Storms River Mouth National Park, located along rugged coast, offers a wonderful wooden walkway path through the forest of giant yellowwood trees and ferns to a suspension bridge that hangs over the river mouth, where river and ocean meet. The Park offers a lovely restaurant to enjoy lunch overlooking the sea while you watch the waves crashing into the rocks. 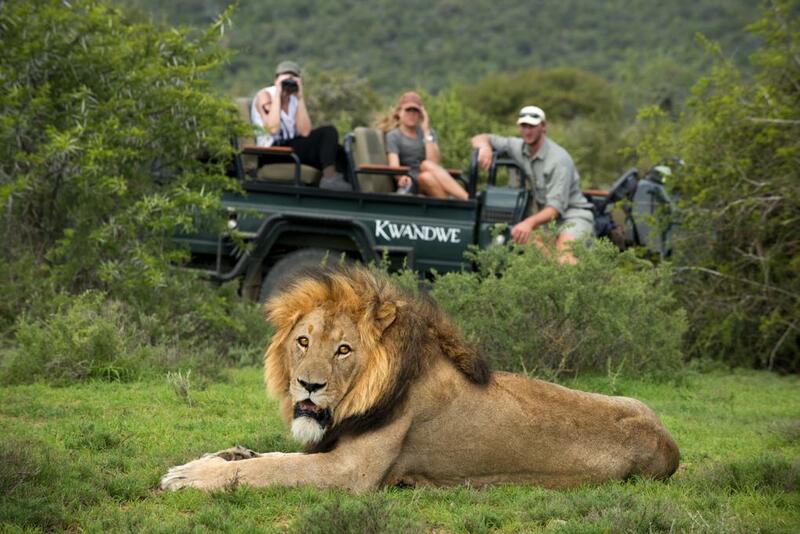 A big-5 safari is guaranteed to be the highlight of any trip to South Africa, and the easiest way of adding a safari to your Garden Route adventure is to head into the Eastern Cape to one of the private game reserves located near Port Elizabeth. This makes the ideal end to your self drive holiday and you can easily fly out of Port Elizabeth Airport after your safari, with regular flights that connect into Johannesburg and Cape Town in time for your international flight home.